Two key traits of solid dosage forms of drugs are solubility and stability. Insoluble or unstable drugs slow down the approval of drugs. This course covers the “a to z” of solid dosage forms from screening and selection to manufacturing. You will go over specific examples to learn the importance of various concepts. The course also addresses specific issues in the manufacturing of tablets and capsules. To keep up with latest updates, there will also be a discussion on emerging and standard formulations. The tools and concepts in this course will help you and your team optimize solid dosage forms. This course is part of the Applied Drug Development Certificate. It fulfills one elective. Take the course as is or as part of the certificate. Scientists who plan to expand their understanding of solid dosage forms should take this course. Refund Policy: All requests for refunds, less a $75 administrative fee, will be honored if received prior to April 30, 2019. No refunds will be provided after that date. Analyze the important principles underlying solid-state instability under accelerated temperature and relative humidity conditions. Scientists who are working on creating formulations for small molecule drugs in all stages of development. Slide presentations will be downloadable one week prior to the start of the course. This session will give a brief overview of important solid state properties that can change the bioavailability, manufacturability, and stability of solid dosage forms. This session will define and highlight the important pharmaceutical properties of crystal polymorphs and amorphous forms of drugs. This session will highlight the effect of shape on the formulation of solid dosage forms, methods to determine the shape of particles, and models to predict the influence of particle shape on formulation. This session will identify those processing and environmental factors that determine the solid state and chemical stability of drugs. Following up on the issues identified with solid state stability in the previous session this session will concentrate on the effect of moisture, from processing and the environment, on the stability of drugs, in particular changes in the amorphous and polymorphic state of drugs. This session will define mixing a quality and uniformity. In particular sampling form mixtures and methods to measure content uniformity will be discussed. This session will define dissolution and discuss models to describe the dissolution of drugs. It will also discuss factors that can change the dissolution of solids. This session will look at structure solubility relationships for drug molecules. 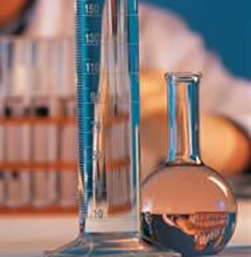 Current methods to assess bioavailability, such as BCS, will be discussed and examples shown on these methods can be used in the formulation of drug products. Several systems used to prepare controlled release dosage forms will be discussed. The advantages and disadvantages of the systems will be demonstrated by a series of examples. Both session on this day will deal with processing, evaluation and manufacturing of tablets and capsules. Issues such as powder mixing, compression, excipient choice and others will be discussed.